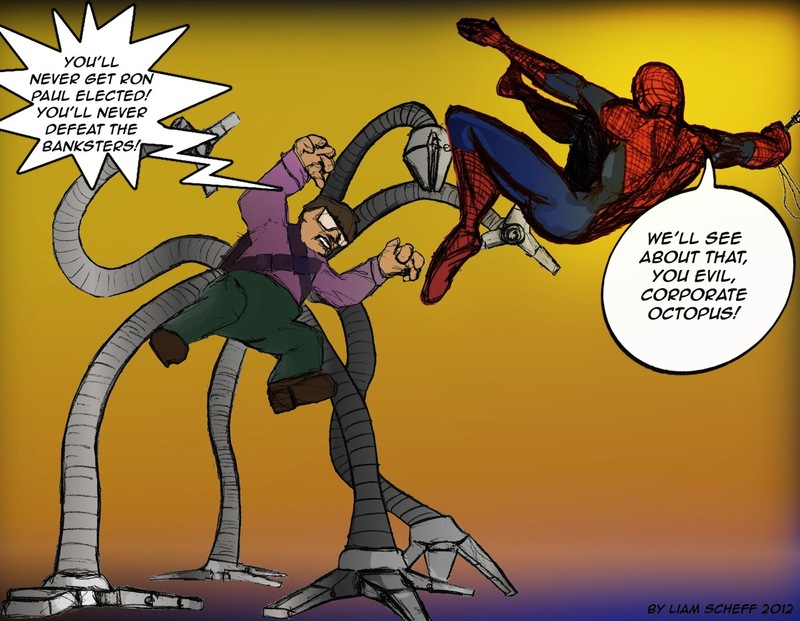 Spiderman Versus Dr. Octopus – Ron Paul Versus Banksters! Good thing 8 legs are in similitude of the real number of tentacles, otherwise there’d be no room on the page for Spiderman. Gramsci would be proud of the way banksters infect everything. Americans need to deploy their own multi-generational tactics to influence their communities to hold fast to right things instead of the quick and convenient.